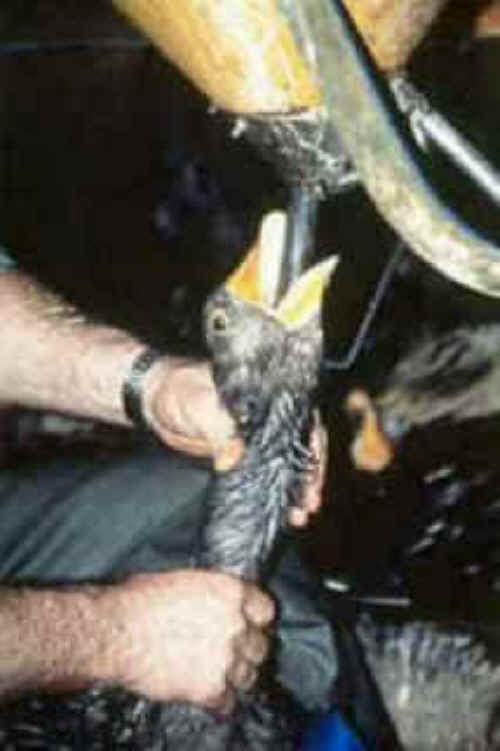 (Ducks and Geese Exploitation - Foie Gras - 07) This is a semi-automatic force-feeding operation. By raising and lowering the handle, a measured amount of food is forced into the stomach of the goose. This machine just makes it easier for some humans to torture more ducks and geese. And, every person who eats foie gras is just as "guilty" of the torture of these defenseless ducks and geese as if they personally rammed the food down their throats.